‘Local Food & Drink Champion’ in The Countryside Alliance Rural Oscars. Clipping from The Times national newspaper (November 2017) listing The Courtyard Dairy as one of the UK’s top 15 cheese shops. Click here to read the full article. Clipping from The Yorkshire Post (August 2017) on The Courtyard Dairy. Click here to read the full article. 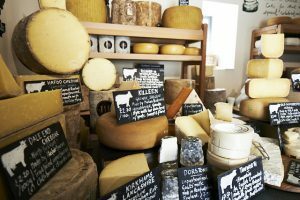 The Courtyard Dairy is featured in The Daily Telegraph’s ‘Most Amazing Cheese Shops in the World’. Earlier this year, the BBC’s Lucy Siegle visited The Courtyard Dairy in Settle to get advice on making cheese. Watch the clip by clicking below. Clipping from Delicious Magazine (June 2015) on top Father’s Day gift ideas. Clipping from FT Magazine (May 2015) on the five best British cheesemongers. 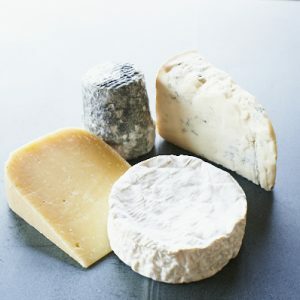 The Countryman’s May 2015 edition had a special feature on The Courtyard Dairy and Andy’s passion for farmhouse cheese. Read the article here: page 1, page. Clipping from Olive Magazine (December 2014) buyers guide for a Christmas cheeseboard. Earlier this year, the BBC’s Matt Baker visited The Courtyard Dairy in Settle to seek out some great cheese. Women & Home’s May/June 2014 edition of ‘Feel Good Food’ had a special feature on their VIP Producers and Favourite Online and Mail Order Suppliers. A clipping from The Saturday Telegraph promoting The Courtyard Dairy in it’s top places to visit. Clipping from Best Brands Magazine (Jan 2014) on The Courtyard Dairy. Clipping from The Times Newspaper (Dec 2013) on The Courtyard Dairy. Andy Swinscoe wins “Cheesemonger of the Year” at The World Cheese Awards. Clipping from The Yorkshire Post (December 2013) on The Courtyard Dairy. Clipping from Yorkshire Life (October 2013) on the The Courtyard Dairy. Clipping from House & Garden (September 2013) on The Courtyard Dairy. Clipping from Yorkshire Life (June 2013) on the best Yorkshire Cheeses (including Dale End Cheddar from The Courtyard Dairy). Clipping from The Yorkshire Post (June 2013) on The Courtyard Dairy. Clipping from The Fine Food Digest (Jan 2013) on the creation of The Courtyard Dairy.